WAIS Reliquary 68000 Years from Anna McKee on Vimeo. I've had the great pleasure of getting to know and learning from Anna McKee, a Seattle-based artist, over the last decade. As many geoscientists likely agree, there is an underlying beauty inherent in many of our research subjects. This certainly applies to glacial ice, and the added sense of time trapped in layers of snow and ice is a dimension ripe for sharing in media other than academic products. 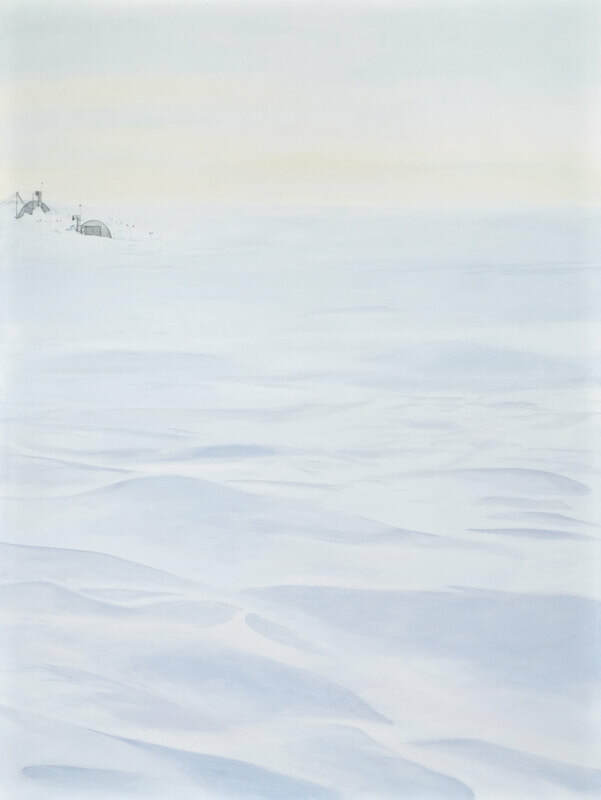 Anna has spent time in Antarctica as a 2009-2010 National Science Foundation-sponsored artist with the US Antarctic Program (learn more about the Artists & Writers program), and also joined our NSF-funded ice coring expedition to Mt. Waddington, BC, Canada in July 2010. Her work spans from small prints to large landscape paintings, and--most impressively--the incredible WAIS Reliquary. This installation literally represents the 68,000 years of information trapped in the WAIS Divide ice core from West Antarctica. 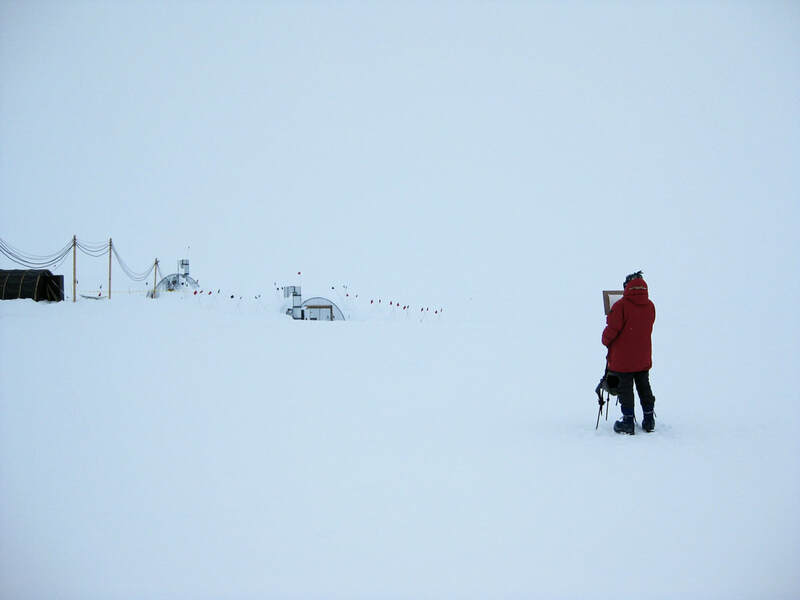 Anna spent weeks in the University of Washington Isolab, taking a sample of the actual melted ice from every individual meter of the 3400 meter-long ice core (the 2nd deepest ice core ever drilled) and sealing the sample in a glass ampule! Anna's last exhibition was "Surge 2018," hosted by the Museum of Northwest Art with support from the Skagit Climate Science Consortium, from October 6, 2018 to January 7, 2019. "Surge, an exhibition designed to draw attention to climate change and its impact on Northwest’s coastal communities, provides the forum for artists together with environmental researchers and educators to present the public with new perspectives on issues such as flooding, sea level rise and storm surge. The relationships between scientists, artists, educators and community leaders have only strengthened since our first display of Surge, and public interest continues to build." 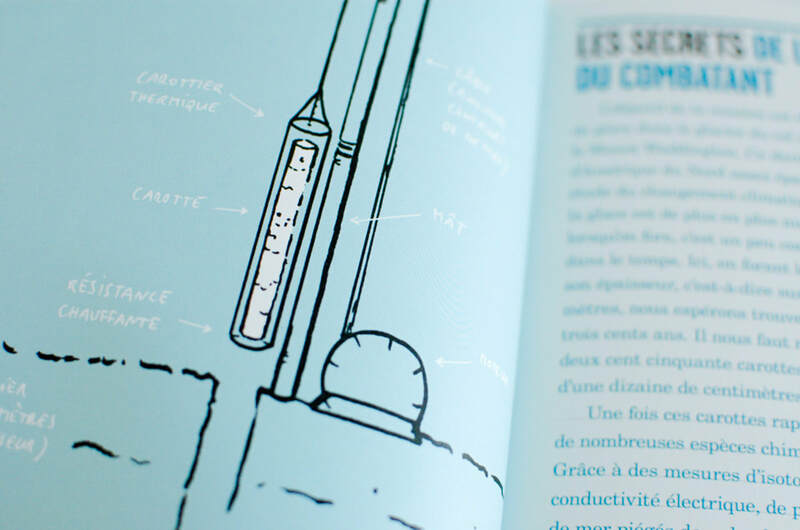 I've also enjoyed contributing material to and being featured in "Carnet Glacé: Journal de bord d'une mission scientifique en haute montagne", a French-language book built around the diaries of PhD student Marion Bisiaux, who assisted on our Mt. Waddington ice coring expedition in July 2010. 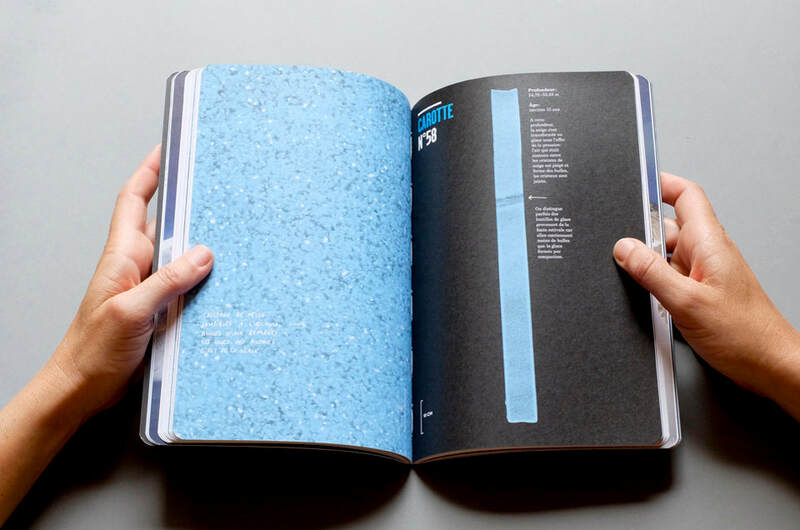 This beautiful book is yet another creative way to share our science, particularly the experience of living on a glacier in the high mountains doing ice core research for a month!